Flower color: pinkish purple. Bloom time: July-Aug. 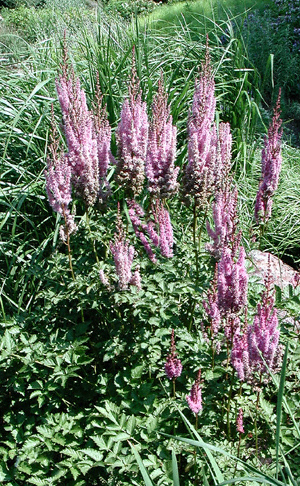 Attributes: colorful pinkish-purple plumed flower spikes. Great plant for shady areas.